Click on image for a better look! That is why all greyhound owners live in fear of ever finding their greyhound limping. That is usually the first sign that your life is about to take a big turn for the worse. Usually you can convince yourself that it’s just a regular limp. Maybe arthritis. Maybe he or she hurt themselves playing. Or running. Or stretched wrong. Anything. Usually the limp goes away and you firmly put it out of your mind. A couple weeks or even a month later, the limp returns. Now you’re sweating. Can you rationalize it any more as a normal limp? Sometimes you can and sometimes you can’t. But either way, by the second or third round of limping you end up at the veterinarians for the x-rays. they found their greyhound limping and immediately everyone knows why. Sometimes you don’t catch the limp and the first notice you have that something is wrong is when your baby’s leg breaks out of the blue. Having caught Girly Girl’s cancer fairly early on, I often wonder if it would have been somehow easier if my notice had been a leg fracturing unexpectedly. Either way it feels like a Sophie’s choice. Many of us have lost more than one beloved hound to cancer. Most of us have been touched in some way by cancer. 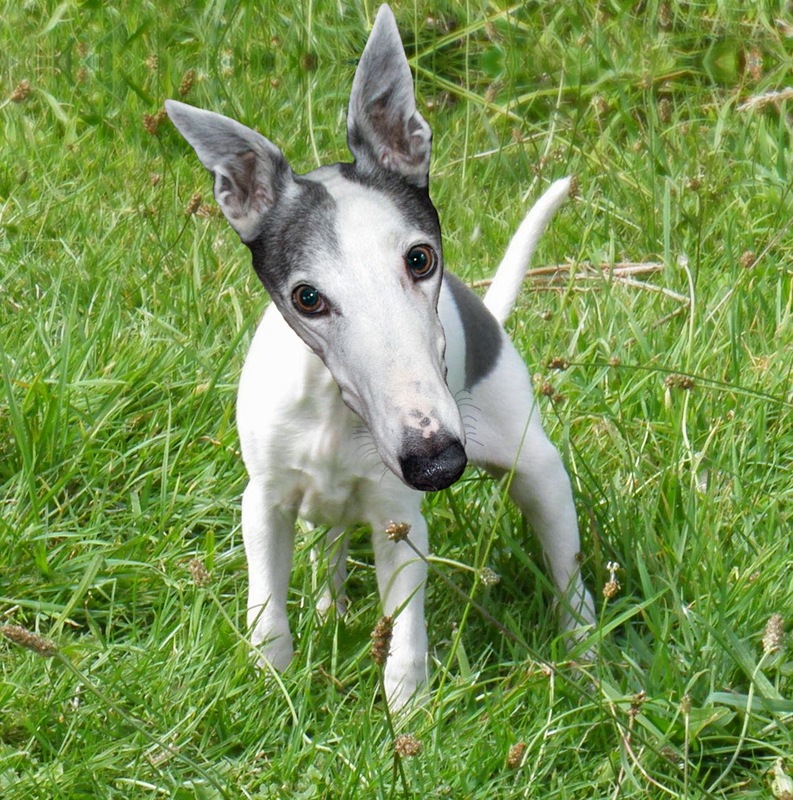 And lest you think that osteosarcoma is the only type of cancer that can affect greyhounds, that is not the case. Lymphoma, hemangiosarcoma and a whole other host of “omas” can affect your hound. And to add insult to injury, I’ve read of hounds who survived one type of cancer only to succumb to another type later on. This is why a cancer awareness month is so important. Research is happening every day that is aimed at curing canine cancer within the next 10 years. That is the goal. And along the way they are finding new and better treatments. I hope to see the day soon where cancer of any sort becomes a manageable chronic disease. Then ultimately, curable. There are all kinds of ways you can join in the fight but I will single out two here. The Morris Animal Foundation funds research into all sorts of canine diseases. A major focus of its research is canine cancer. Your donations go directly to help fund this essential research. Visit their website (www.morrisanimalfoundation.org) and you can see all the research projects they are funding as well as learn about the results of these studies and the breakthroughs that have been made. 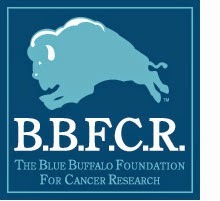 The dog food company Blue Buffalo has a cancer foundation called the Blue Buffalo Foundation for Cancer Research. They have partnered with Petco to raise funds for this foundation. Every May you can donate at any Petco checkout counter and of course, donations are always accepted through their website (www.petcancerawareness.org). Purchasing a bag of Blue Buffalo food sends another dollar to research. 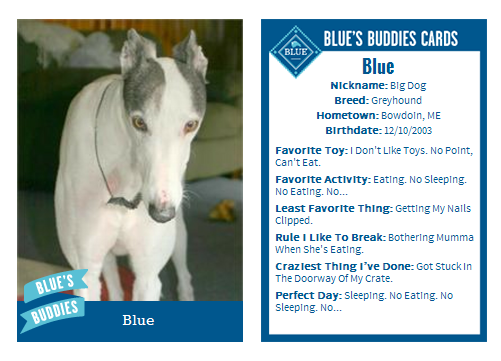 If you visit Blue Buffalo's site and create a trading card in May, another dollar goes to research. And seriously aren't these trading cards pretty cool? This foundation also supports organizations that fund cancer treatment for families who can’t afford it. I absolutely believe that one day cancer will not be a death sentence for our furry children. I intend to help wherever I can to make sure that happens in my lifetime. It’s too late to help my Girly Girl, but not too late to save Blue, or Bettina or the hound laying next you. Please consider donating to these worthy causes in honor of all the dogs we’ve lost. Gregor Mendel and the Big What If? I realize that what I’m about to say is utter heresy in the world of animal adoption, but what if you could get your hound unspayed or unneutered? I admit that I sometimes wonder about this. Don’t crack those knuckles to warm up your typing fingers just yet. I cannot be the only person who has ever had this thought. has loved a pillow or a hotel bed like Blue does. Wouldn’t a tiny Blue or two curled up on a bed pillow melt any adoption activist’s heart? I also think about my Girly Girl of course. What I wouldn’t give to have one of her daughters with me now. To have her live on in a reserved brindle girl who takes after her mom. Girly Girl had been slated to be a brood mom. If that actually had happened, I would never have met her. She would have been diagnosed with cancer before she ever reached the age of brood mom retirement. Still I know she would have been such a great mom. The way she hoarded and brooded all her stuffies gave me just a little glimpse into the part of her life that never was. And then there is Bettina. Yes, I even wonder what her crazy spirit would look like if it could have been crossed with other hounds we know. The world is going to be a much poorer place when she isn’t stampeding around in it anymore. 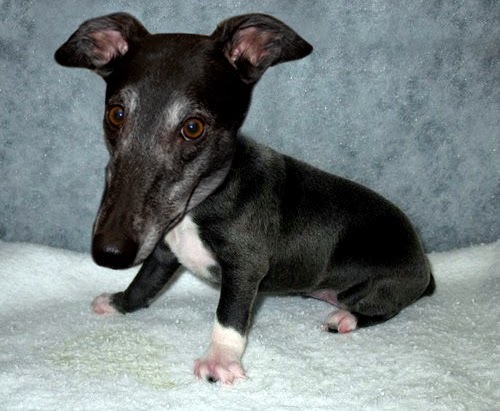 I picture a little herd of black greyhounds running rampant through the house. They’d all be barking and shrieking while chewing on the electrical cords, over-turning the garbage can, learning to counter surf and leaving me a tiny corner at the foot of my own bed to sleep on while they gleefully shred the pillows and comforter. More magical thinking for sure. But haven’t you all thought about what it would have been like to have a puppy or two from one or all of your beloved hounds? I know at least three people who actually do have that situation but they arrived at it in a much different way from the way I am fantasizing. If you adopt an older retired brood mom then you can have years of fun tracking down and adopting the puppies once they retire off the track! And seriously, how cute would Blue and Bettina puppies have been!